Please make sure to read the description of the item that you are purchasing. We sell actual items and vintage advertising and much more. The ads are great for collectors, framing, identification or even gifts of nostalgia. Happy shopping! 5 x 6 inches. If your pick up cartridge tired? 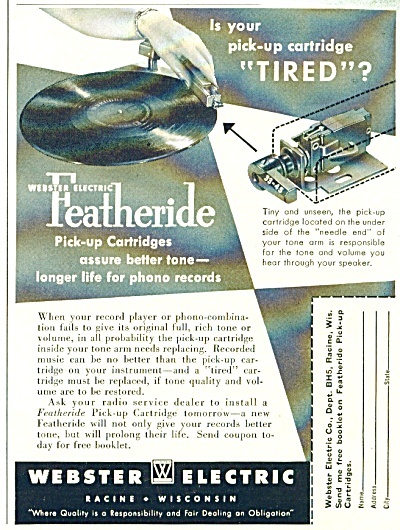 Webster electric Featheride pick up cartridges assure better tone-longer life for phono records.